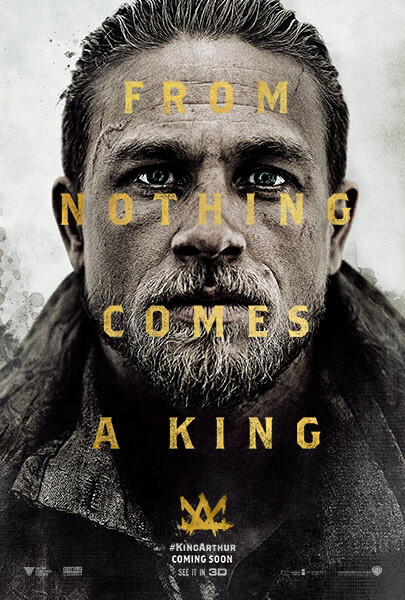 Acclaimed filmmaker Guy Ritchie brings his dynamic style to the epic fantasy action adventure King Arthur: Legend of the Sword, an iconoclastic take on the classic Excalibur myth. To help amplify the launch of the film in May 2017, Warner Bros. Pictures is unleashing a full-fledged art activation campaign leading up to the release of the film, and they want to collaborate with you! Visual artists from around the world are invited to create artwork that creatively captures the film's fresh, contemporary twist on the classic King Arthur tale. Whether it's a custom Snapchat Geofilter, a street art-based mural design, an animated GIF or even an alternative poster design, the judging panel is looking for captivating and imaginative artwork to help drive promotion and excitement socially across the film's marketing and digital channels. Ten selected pieces of artwork will be featured in King Arthur: Legend of the Sword's marketing campaign leading up to the release of the film. The selected artists will receive $1,000 for each piece selected. If submitting a Snapchat filter, be sure to follow Snapchat's Geofilter Guidelines and please save and upload your artwork as a transparent PNG. You may download the Snapchat Geofilter template here. The brief is open. Artwork can be submitted in any visual medium except for photography and video. Artists are encouraged to watch the trailer for the film below and check out the film's Facebook page for inspiration. 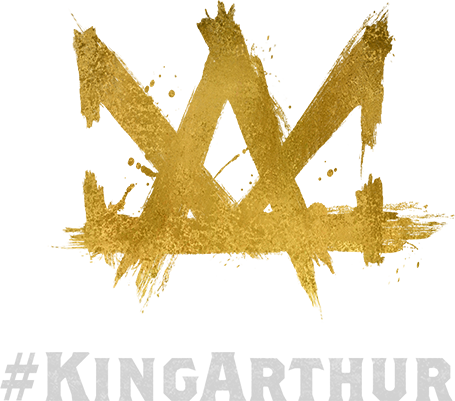 Artists may include the King Arthur: Legend of the Sword title treatment logo in their artwork which can be downloaded here. Acclaimed filmmaker Guy Ritchie brings his dynamic style to the epic fantasy action adventure King Arthur: Legend of the Sword. 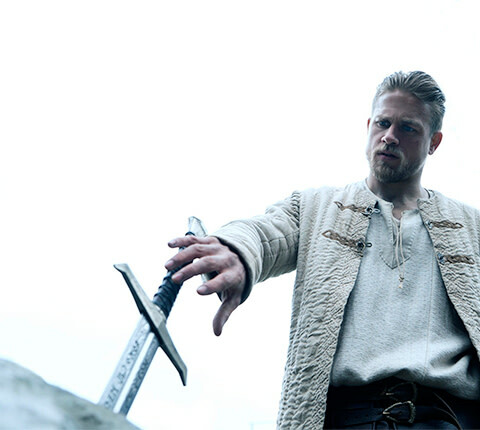 Starring Charlie Hunnam in the title role, the film is an iconoclastic take on the classic Excalibur myth, tracing Arthur’s journey from the streets to the throne. This opportunity is open globally (except countries in which the United States has embargoed goods (including without limitation, Crimea, Cuba, Iran, North Korea, Sudan and Syria)) to those who are at least 18 years of age and the age of majority at the time of entry. Void where prohibited by law. Artists should retain their original artwork files but designs must be submitted in JPEG, PNG or GIF, max size 10MB. If submitting a custom Snapchat Geofilter, please save and upload your file as a transparent PNG. All submissions must be original artwork (meaning not using third party pre-existing copyright materials). Please no photography or video. Please read the "THINGS TO CONSIDER" section above carefully. Artists may depict the likenesses of the characters in King Arthur: Legend of the Sword and may include the King Arthur: Legend of the Sword title treatment logo in their artwork which can be downloaded here. All rights in and to the characters and title treatment logo are reserved by Warner Bros. Pictures. Selected artists (defined in Official Rules) grant Warner Bros. Pictures and its licensees and assigns, a worldwide, exclusive, royalty-free, perpetual license to use their submitted work in connection with the promotion and distribution of King Arthur: Legend of the Sword in all media, now known or hereafter devised. Selected artists will be required to sign a license agreement. All artists retain ownership in their work excluding artists who have signed a license agreement. However, by submitting you hereby grant to Warner Bros. a worldwide, non-exclusive, royalty-free license for three years to use your submitted work across their various online and social marketing platforms in association with the film King Arthur: Legend of the Sword. All artists will be credited accordingly. Any ownership in the work is subject to and restricted by Warner Bros. Pictures’ underlying rights in the Warner IP and entrants may make only personal use (e.g. portfolio purposes) of the submissions without express written consent from Warner Bros. Pictures; in no event, may an entrant obtain a fee, royalty, advertising revenue, or any other payment in exchange for the submission. Selected Artists must respond to Talenthouse within two days of receiving the notification email or else will forfeit all incentives. Talenthouse reserves the right to remove inappropriate, offensive and harmful submissions as well as submissions that do not fit the brief and follow the guidelines or Official Rules. Warner Bros. Pictures will select from all qualified submissions. A qualified submission is one which meets all the Terms & Conditions, Guidelines and Official Rules.